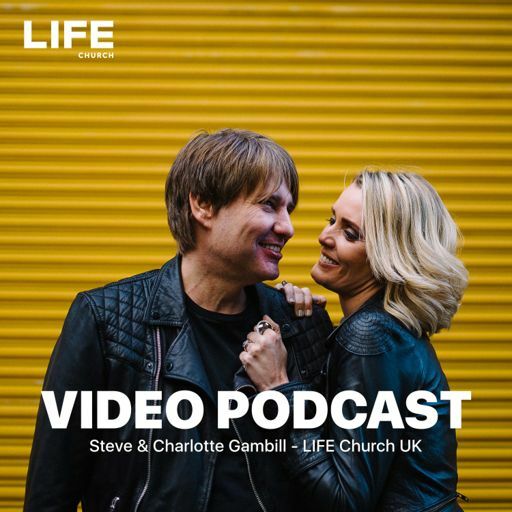 Welcome to this weeks episode from LIFE Church, where Lead Pastor Steve Gambill continues the series ‘It’s Time to Build’, with a new message called ‘Under Construction’. What are you Drinking? - Peace Makers or Poison Takers? Pastor Steve Gambill discusses the power that is attached to our prayer. He encourages and equips us to increase our ask, helping us raise our expectation of Gods ability to move when we pray. In this weeks episode Ps Steve Gambill discusses the Lord’s Prayer. Unpacking it’s practical applications, we begin to better understand the ways we can approach God through prayer. Ps Steve Gambill teaches us the power of investment in others. Sometimes even the smallest of cracks or holes can become the biggest entryway for the enemy to come kill, steal and destroy! Did you know you don’t have to ignore the facts of Life but you do need to filter them? Did you know that Fatherhood is less about DNA and biology and more about God’s desire to love and protect His children? Miracle in Motion. Steve & Charlotte Gambill shares some of our highlights from 2017 and unpacks the vision for 2018. Good news is for sharing and invitations are to be given out freely! We have so much power and strength given to us through Jesus Christ, but are we asleep to what is happening in the world around us? "Holes & Lids. Why do our lives sometimes feel so dry and drained? BEST LIFE is not just about the good life but a spirit-lead and scripture-inspired adventure life! Today's podcast is a timely message from Ps @charlgambill for this Holiday season. Where do you go with your hunger and thirst? What is your quench? Welcome to this week's Podcast, where Ps Steve Gambill finishes our Freedom series with an inspiring message 'For Freedom'. Who is holding your rope? Freedom series is an outstanding series to help you live & stay free. What will you do with your freedom? In life we can take hits just like a piñata, but it is also in those moments of pain that we can see all God has placed within us. Guest speaker Peter Toggs, from Hillsong Young & Free in Sydney, Australia. This message 'Hider in the house' explores just that concept and challenges us to surrender all to God. In this message, Dave shares how often the enemy comes with tactics to lead us away from the promise of God but how Jesus has given us the authority and the fight to declare 'Not today'! Have you ever wondered why some people continually struggle for a breakthrough while others seem to go from one blessing to the next! Perhaps it all starts in the way we pray! From the life of Caleb, Ps Steve brings out powerful principles from Joshua 15 to reveal ‘Father-Favour’ for you and all those you love and know. The peace of God is an undisturbed place of rest and shelter. This is a message by Ps Steve Gambill on how you can recognise your peace-stealers, remember your peace-giver and how to be a peace-keeper and bringer! Have you ever felt stuck in the mundane, or maybe in poverty or sickness? A lot of people live like they're done and ceased but God's message for you through the Story of Moses in Exodus 14 is this: MOVE ON! What can Zacheus teach us about Christmas? HEART BEATS | October Series | LIFE Church UK Above all else guard your heart, for everything you do flows from it. Prov. 4:23 New month, new theme, talking all things matters of the heart. Fresh Life - What is it? Lead Pastor Steve Gambill preaching about being spiritual fathers, on our Father's Day service! Lead Pastor Charlotte Gambill is speaking a great and challenging message, called "Moving Bricks". Today Pastor Steve Gambill will continue and finish his message called “Permanence”. We pray this message has encouraged you and that it continues to grow and strengthen you wherever you are! Today Pastor Steve Gambill will begin to share with you, a great message called “Permanence”. We pray this message grows and strengthens you wherever you are! Lead Pastor Steve Gambill talks about "I Can". Lead Pastor Steve Gambill talks about "New Year New You". Lead Pastor Charlotte Gambill talks about "New Name New Game". Lead Pastor Steve Gambill talks about "What are you expecting?" Lead Pastor Steve Gambill talks about "Do you have peace?" Pastor Steve Gambill speaks from 2 Kings 6:8-17, how God is working behind the scenes throughout your life, no matter the circumstances, to take your life to the next level.